This week, NCCS joined the American Cancer Society Cancer Action Network in a campaign against proposed Medicare Part D changes. More than 50 groups joined the campaign in opposition to the administration’s proposal to change Medicare Part D's protected classes drug coverage, which would give Medicare plans the option to limit coverage of drugs in six categories, including cancer drugs. The government shutdown continues, but Congress is in session and other legislative priorities continue to move forward. Committee assignments continue to roll out this week as Rep. Lloyd Doggett (TX-35) was named as health subcommittee chair on Ways and Means. His position on the committee will make him an important player in all health care matters in 2019. Rep. Anna Eshoo (CA-18) was confirmed as the health subcommittee chair of the Energy and Commerce Committee. Meanwhile, on the Senate side, Republican Members on the Finance committee met to discuss drug pricing with HHS Secretary, Alex Azar. Reporting indicates that GOP members remain split on drug proposals and how best to move forward. 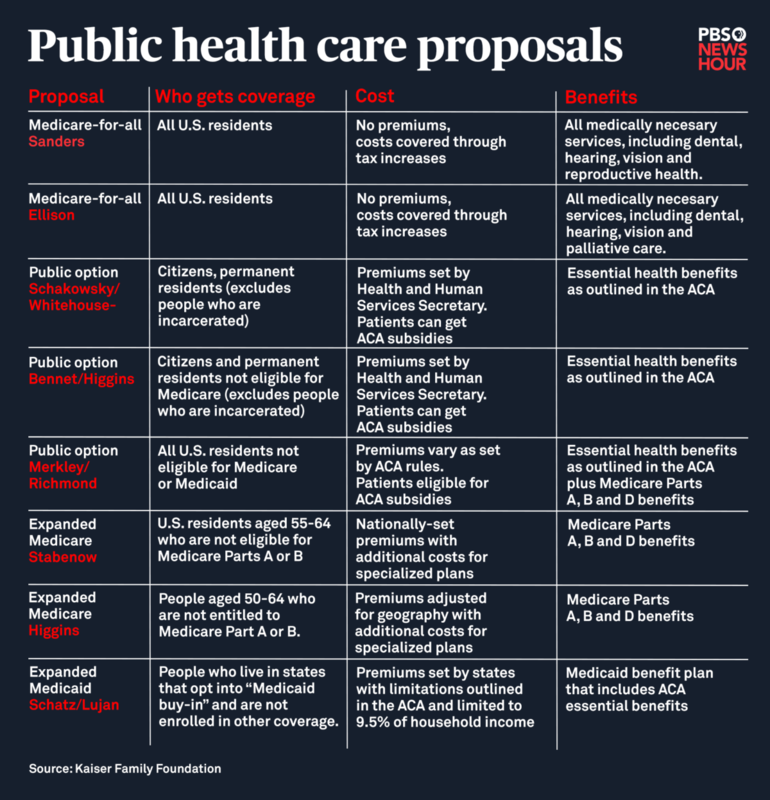 Medicare-for-All and other proposals to expand health coverage will be getting a lot of attention in the 116th Congress. Check out the chart below created by PBS that shows what each proposal would do. Bold health initiatives proposed by officials in California, Washington and other states could create blueprints to follow. Elizabeth Rosenthal argues that states have a solid track record when it comes to being good examples for experimentation, such as when Massachusetts introduced “Romneycare” in 2006, which was the blueprint for the Affordable Care Act. The article highlights that "the study, which was published in the journal Cancer Causes & Control, found that people who exercised regularly as a lifestyle — both before and after diagnosis — experienced a 39% reduced risk of mortality compared with patients who were inactive as a lifestyle." This week, in the New York Times' “Living With Cancer” section, a cancer survivor writes how after many cancer-related setbacks, she started singing along to Nina Simone.